SPECTRE MUSCLE CAR COLD AIR INTAKE KITS. 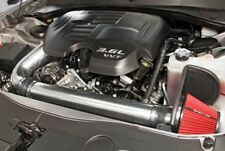 2014 Dodge Challenger Rallye Redline 6Cyl 3.6L 220CID Cold Air Intake. 2011 Dodge Challenger SE 6Cyl 3.6L 220CID Cold Air Intake. 2011-2017 Dodge Challenger SXT 6Cyl 3.6L 220CID Cold Air Intake. SPECTRE 9719 ALUMINUM TUBE 4". 4" OD ALUMINUM TUBING. FOR BUILDING CUSTOM COLD AIR INTAKE. FRESH AIR INTAKE SYSTEM. ALUMINUM TUBING. They are Warehoused in a Clean, Smoke Free and Pet Free Warehouse. ITEM CONDITION. It is Spectre part number #9781. Product Style Spectre Couplers/Reducer. This is a polished aluminum, Spectre Performance 4" OD mandrel tube with a90 degree elbow bend. It is Spectre part number #9799. Spectre tubes allow you to design your very own custom cold air intake system. SPECTRE COUPLER. Hover any image to see it full size. 4" TO 3.5" ID. WE WILL TRY TO WORK OUT ANY SITUATION THAT WE CAN. once Checkout is complete. SPECTRE COUPLER 9781. SPECTRE COUPLER. Small bend radius makes this coupler fit in tight spaces. Made from black PVC. ITEM CONDITION. 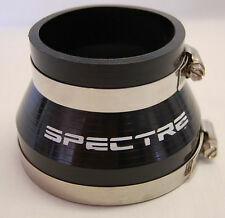 SPECTRE 3" Universal Air Intake ABS Tube Kit. UNIVERSAL COLD AIR INTAKE TUBE. Universal air intake system. Great when building a custom air intake system. Includes vacuum tube adapters and fittings. once Checkout is complete. It is Spectre part number #97711. make Supersized seem small. SPECTRE 9603 Velocity Adapter. In addition, Spectre velocity stacks also have a smooth funnel shaped inlet that reduces restriction and turbulence of incoming air. Velocity Adapter. Velocity stack has a smooth funnel shaped inlet to help air flow. SPECTRE 8771 Black Soft PVC Cold Air Intake Coupler with Clamps fits 76mm 3"
SPECTRE COUPLER. Made from black PVC. BLACK SILICONE. once Checkout is complete. Spectre part number 97941. connect different air intake tubes together with ease. 110 degrees angle. If your vehicle was not originally equipped with the EXACT part(s) listed, it is your responsibility to consult a dealer to see if it will fit your application. SPECTRE 752 AIR INTAKE PLENUM KIT~polished aluminum plenum, tube, K&N FILTER!! "Spectre Pre-Filter --. SPECTRE PRE-FILTERS. Great way to top off your Spectre cold air intake system. Universal fit. Product fit : Universal. 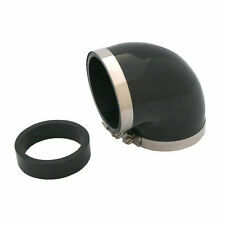 Air filter shape : Round Tapered. Material : Polyester. Color/finish : Black. SPECTRE 4" OD ALUMINUM TUBE 9920. 4" OD ALUMINUM TUBING. For Building Custom Cold Air Intake. FRESH AIR INTAKE SYSTEM. ALUMINUM TUBING. They are Warehoused in a Clean, Smoke Free and Pet Free Warehouse. "Spectre Cold Air Intake --SPECTRE MUSCLE CAR COLD AIR INTAKE KITS. Series : Spectre Muscle Car. Notes California Air Resources Board Exempt: No, Air Intake Kit, Polished Tube With White Filter. Replaces existing inlet tube and restrictive air box. Bracket kit 9701. Air boxes 98695,98695, 4" 9831 or 5" air box for 4" system 9832. Couplers 4" to 3" 9761 black/9762 red/9766 blue, 4" to 3.5" 9741, 9742, 9746. Couplers with adapter sleeve 9771, 9772, 9776. SPECTRE COUPLER. Hover any image to see it full size. 2.5" TO 3" ID. WE WILL TRY TO WORK OUT ANY SITUATION THAT WE CAN. SPECTRE ALUMINUM TUBE 9932. 4" OD ALUMINUM TUBING. FOR BUILDING CUSTOM COLD AIR INTAKE. FRESH AIR INTAKE SYSTEM. and one 5/8" tube Vac port. ALUMINUM TUBING. 22 degree bend on one end. ITEM CONDITION. Spectre part number 9777. 4" inlet, 4" outlet, 30 degrees Coupler Angle. Connect different air intake tubes together with ease. Be sure the part you are buying is correct for your application. SPECTRE COUPLER. 4" PVC Coupler. Made from black PVC. 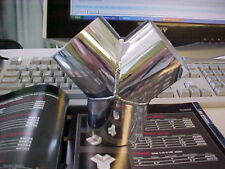 Spectre Performance 9849 Air Intake Plenum. New open box. Bought it in a kit and don't need it with my setup. P/N 9778 SPECTRE PERFORMANCE. Bracket kit 9701. Air boxes 98695,98695, 4" 9831 or 5" air box for 4" system 9832. Couplers 4" to 3" 9761 black/9762 red/9766 blue, 4" to 3.5" 9741, 9742, 9746. 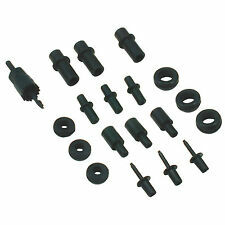 Couplers with adapter sleeve 9771, 9772, 9776. Trending at $38.66eBay determines this price through a machine learned model of the product's sale prices within the last 90 days. "Spectre Cold Air Intake --SPECTRE PERFORMANCE COLD AIR INTAKE KITS. Performance cold air intake systems by Spectre include polished aluminum tubes and a premium air filter and are engineered to maximize your air/fuel ratio for significant horsepower gains. Spectre Performance P/N 9789. ALL COMPONENTS OF THE SPECTRE PERFORMANCE MODULAR AIR INTAKE SYSTEM ARE DESIGNED FOR BUILDING CUSTOM AIR INTAKES FOR VEHICLES THAT LOOK AS GOOD AS THEY PERFORM. THEY ALLOW MAXIMUM COLD AIR INTAKE ON CARBURETOR OR FUEL INJECTED ENGINES. P/N 8788 Qty. Part 8788 Product Specifications. Modular air intake components;8708-4" straight tube, 8718 6"straight, 8728 22 degree elbow, 8738 45 degree,8668 60 degree elbow, 8698 90 degree elbow, 8778 Y union, 8707 manifold,8705 air sensor mount,81413 3" air flow sensor adapter, 81403 4" air flow sensor adapter. SPECTRE PERFORMANCE P/N 9719. Bracket kit 9701. Air boxes 98695,98695, 4" 9831 or 5" air box for 4" system 9832. Couplers 4" to 3" 9761 black, 9762 red, 9766 blue, 4" to 3.5" 9741, 9742, 9746. Couplers with adapter sleeve 9771, 9772, 9776. Blue reducer coupler. Bracket kit 9701. Air boxes 98695,98695, 4" 9831 or 5" air box for 4" system 9832. Couplers 4" to 3" 9761 black/9762 red/9766 blue, 4" to 3.5" 9741, 9742, 9746. Couplers with adapter sleeve 9771, 9772, 9776. P/N 9798 Spectre Performance. Three weld bend. 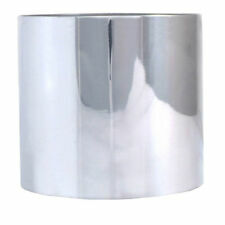 4" Polished Aluminum 90 Degree Elbow Details Tube Style 90 Degree Elbow. DETAILS: Polished Aluminum. Part of a complete system of products that will allow you to create an intake for almost any application. P/N 8791 Spectre. 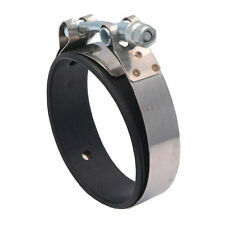 Universal intake bracket kit 9701. 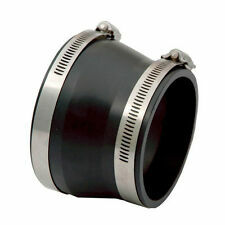 Intake Coupler 3" 90° Elbow W/2.5" Insert Black PVC. ALL COMPONENTS OF THE SPECTREPERFORMANCE MODULAR AIR INTAKE SYSTEM ARE DESIGNED FOR BUILDING CUSTOM AIR INTAKES FOR VEHICLES THAT LOOK AS GOOD AS THEY PERFORM. Trending at $30.55eBay determines this price through a machine learned model of the product's sale prices within the last 90 days.